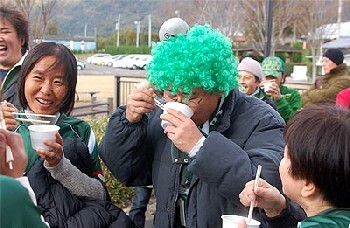 Tokai League champions FC Gifu have about one-and-a-half feet in the JFL 2007 after the first leg of their play-off with Honda Lock ended in a crushing 4-0 win for the men in green. Lock, who have struggled all season long in the JFL, held Gifu to 0-0 at half-time but after the interval the Regional Leaguers took control of the match and of the tie. The goals came from Koji Nakao, a defender who moved to the club from deadly local rivals Shizuoka FC,, striker Atsushi Katagiri, ex-Nagoya Grampus 8 man Ryuji Kitamura and another former Nagoya star, 37-year-old forward Yasuyuki Moriyama. Next Saturday sees the second leg, to be played in Gifu. JFL side Yokogawa Musashino have changed their status to become an NPO, a move that management hope will cement the club's relationship with the local community as a general sports facility. The name of the new organisation will simply be Musashino Sports Club. 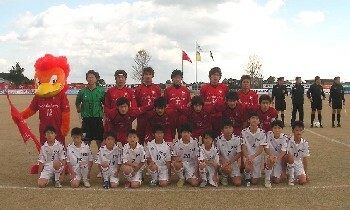 Yokogawa were in 1999 founder members of the JFL in its current format, a sixth-place finish in 2006 being their highest ever. Under the name of Yokogawa Electrical, the club were previously dominant in the Kanto League, with three titles in five years from the mid-90s.